Welcome LatkaLivesOn! Thanks for the support. A big thank you to thatupsguy for his support over the years and renewing his WWKC Membership again for 2018! Thanks so much! Thanks for the continued support thatupsguy . Thanks for the continued support thatupsguy. Please help me thank thachchau for renewing his WWKC Membership for 2018! Thanks for your continued support! Thanks for the continued support thachchau. 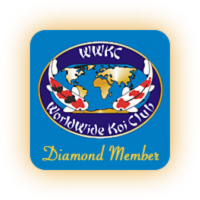 A big thank you to this months MVP, rcmike, for also renewing his WWKC Membership for 2018! Thank you Mike for your continued support! Oh wait. That's me! Glad to be a member of this group. It has helped me immensly. Go look in the mirror , and see what condition Your condition is in . Thanks for the continued support, Mike. Thanks for the continued support TODDER, Jkrang2000, and tbhbc. And today please help me thank PB_Driver, DBibbins, and Janemm for also renewing their WWKC Memberships for another year! Thanks for the continued support PB_Driver, DBibbins, and Janemm.